Agvocacy through baseball and the "big city"
Some days I am amazed at the life I have. Last week was a perfect example of what I am talking about. 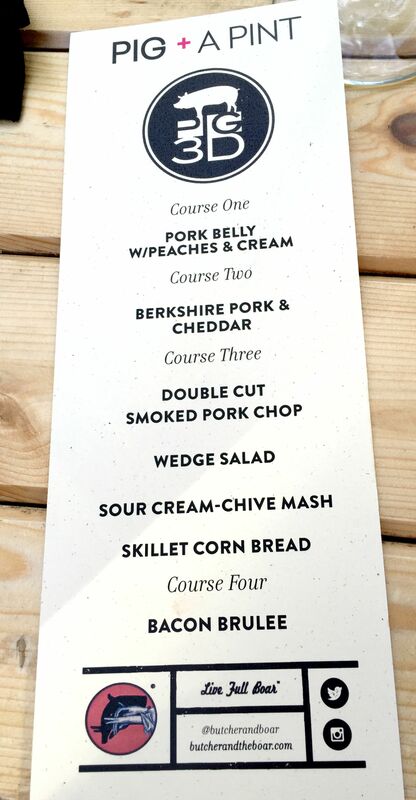 It started with an evening at the Butcher and the Boar Restaurant in Minneapolis and an event entitled, Pig and a Pint. Approximately 20 food influential “foodie” individuals from the Minneapolis area met with about 12-15 pig farmers from across Minnesota. We all shared one commonality – food. Our guests were foodies–people who work in the food industry, people who talk and write about food and food media personalities. And our goal? To have a conversation, make connections and learn from each other. Many of our guests have no connection to farms or farmers, just as many of us pig farmers have no connection to foodie urbanites. Our evening started with mingling and introducing ourselves to each other. A delicious, pork-laden meal followed, which was interspersed with thought provoking conversation. I conversed with two women, who both worked for General Mills, and our conversation was enlightening to me. On the other hand, another two gals who sat near me, were not interested in conversation. I felt bad because I would have loved to hear their perspectives. I tried numerous times to engage with them, but to no avail. One of the highlights of the evening was meeting Jason DeRusha. 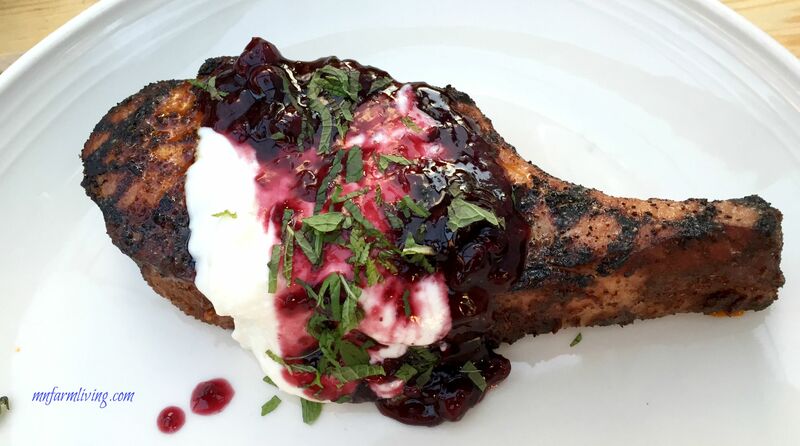 Jason is a well-know foodie who works for WCCO radio and TV in Minneapolis. He has a large social media following where he talks about food and restaurants in the twin city area. He also emceed our trivia contest and meat raffle after our evening meal. This is strictly my opinion and my experience. I wished we could have had a deeper conversation about how their food is grown. I wished I was asked more questions. Some of the exchanges didn’t feel as authentic or genuine as I had wished for. As the evening proceeded, I decided my primary goal for the evening was going to be a really good listener. To ask questions and to really listen. Talking with the gal from General Mills about Hormel I soon realized why it’s important to reach out to people outside our farmyards. When she hears the word “Hormel” she thinks “processed meat and spam.” The word “Hormel” and her images of processed meat and spam are not positive images for her. On the other hand, when I think of Hormel, I feel a great sense of pride because we send our market hogs there. 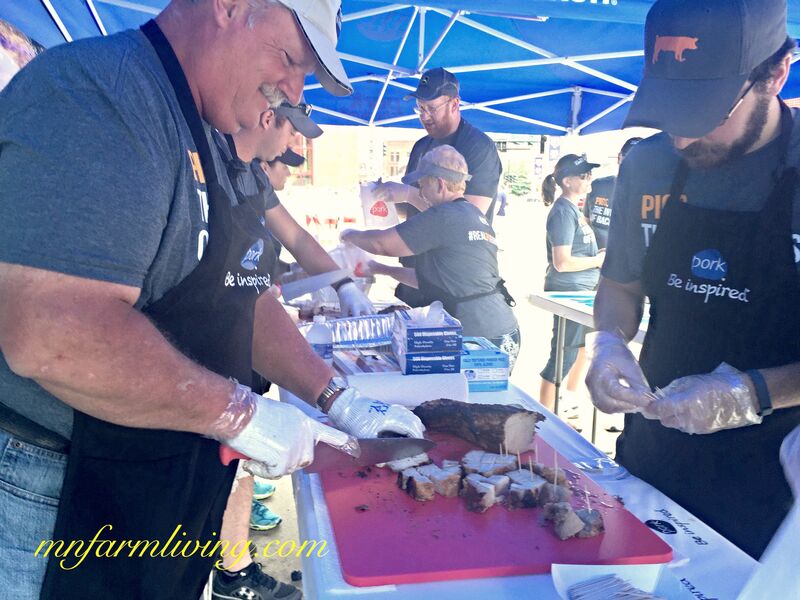 I am proud of our pigs and the pork that feeds families. When I am at our local grocery store and I stand at the meat counter and look at the Hormel pork tenderloins packages, I can’t help but think they may have came from our farm. 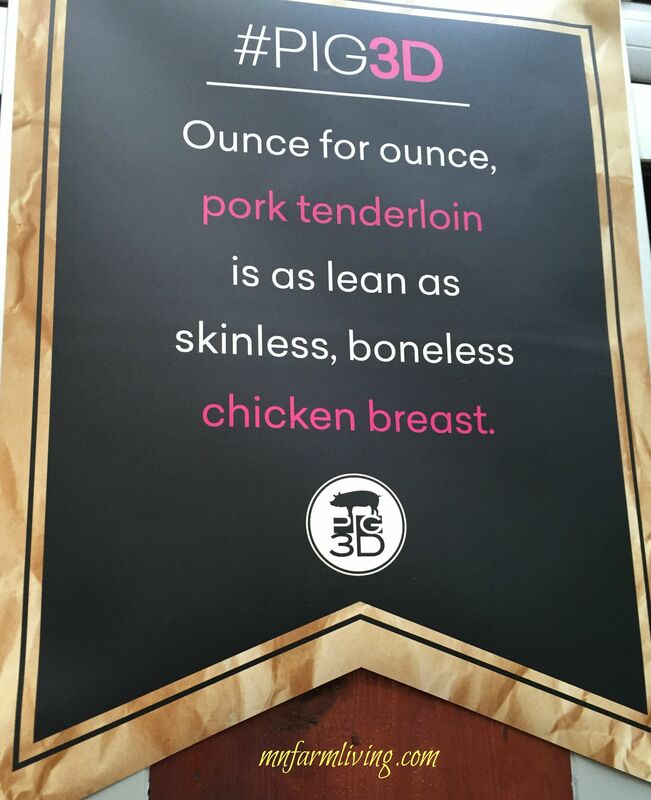 I think about the pork samples we handed out at the Twins Grillfest and how we heard comment after comment after comment on how good they tasted. Personally, spam doesn’t enter my mind when I think of Hormel. Let me be clear about this. I am not finding fault with her perspective. It’s just an example of why farmers need to agvocate. 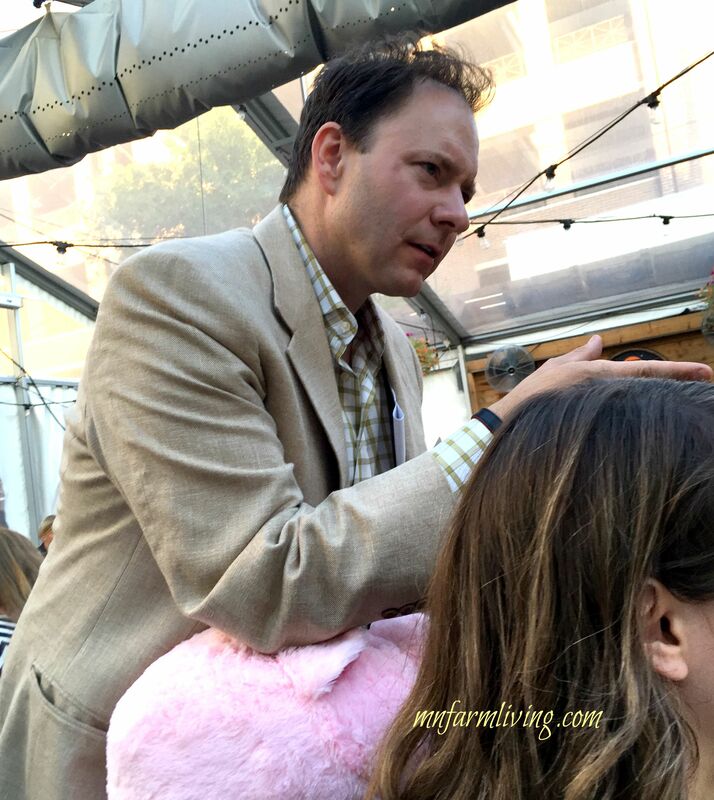 Farmers need to purposely take some time and connect with people outside their farms. Whether it’s talking to people personally or connecting via social media. I also would like to see Hormel take a step towards connecting their meat counter products with the farms they come from. That connection is missing and consumers want it. They want to know where their food comes from. When I heard her perspective, I chose to listen and not fire back defensively. This is hard but if I hadn’t, I probably would not have heard what she was saying. So where do we go from here? I will continue to reach out to these individuals. As a follow up, Jason DeRusha (@DeRushaEats) will be hosting a twitter chat where some of the tougher food questions will be asked. I am looking forward to that. Fast forward to later in the week for a “only once in a lifetime” event. Out of the blue, I was asked if I would be interested in throwing out the opening pitch at the Minnesota Twins vs. New York Yankees baseball game! Oh my! Did not take long for me to respond! After catching my breath, I said YES!!! Minnesota Pork was handing out grilled pork tenderloin samples during the Twins GrillFest event prior to the baseball game. What a hit! (sorry for the pun) People loved the pork and, of course, we all knew they would. About a half hour before the start of the game, my daughter and I were escorted to the infield. 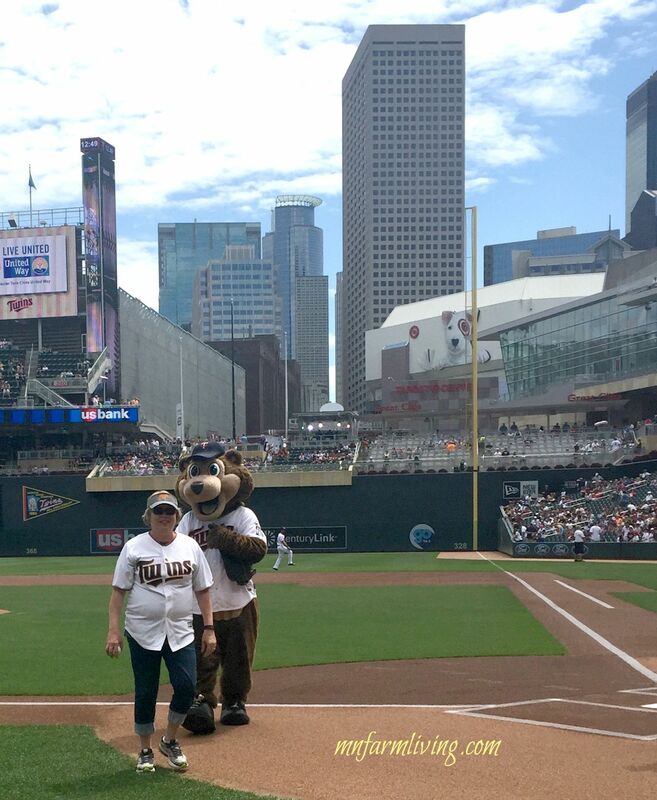 And I had the thrill of a lifetime – I threw the opening pitch! I was so nervous. I had nightmares that I would either throw the ball backwards, or my pitch would qualify for the “Top 10 Worst Opening Pitches” youtube video or I would trip and fall. Yes, I practiced the day before but I don’t think it really helped. No, the ball didn’t make it to the catcher but I didn’t care! 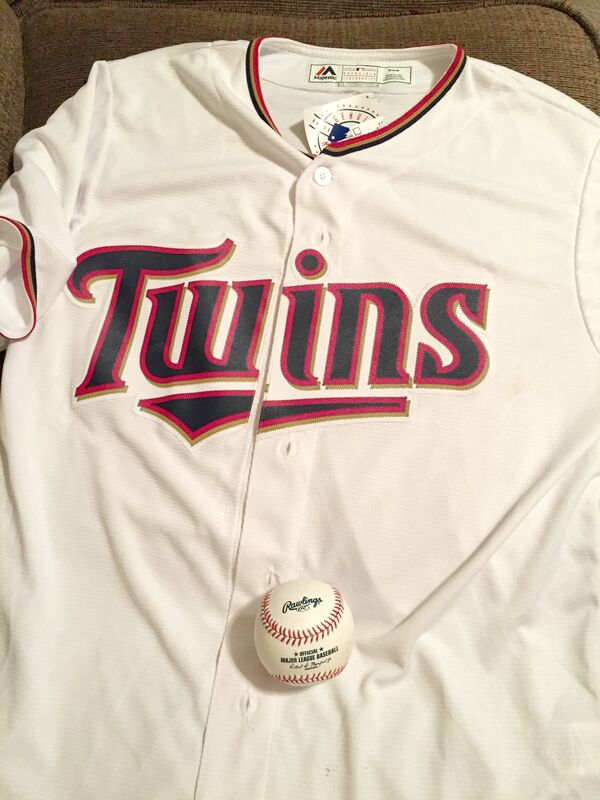 Watch my Minnesota Twins opening pitch! It wasn’t pretty but it was sure fun! In return I received a baseball jersey and a baseball. And I am sorry for everyone who was jealous. I love to talk about my farm. My goal is to be authentic, genuine and honest about how we farm and why we do what we do. And after last week, I know this is more important than ever. I love this Wanda! Both events sound great. Suppose if Minnesota Pork does something similar next year they’d let a pork producer just south of the border join??? We sell our pigs to Tyson and I always wonder when I see Tyson Pork products if it could possibly be ours too. I wonder what people think when they hear Tyson? Great job listening and throwing the first pitch! And, thanks for linking up to the Country Fair Blog Party! Thanks Val! It was a lot of fun! And the listening to different perspectives was valuable. Wanda – I chose your post as one of my August Blue Ribbon winners for the Country Fair Blog Party: http://www.cornbeanspigskids.com/2015/09/country-fair-blog-party-september-2015.html. I hope you link up again this month! Fantastic Wanda!! You could not be more accurate in that we as agvocates need to listen to what the consumer is saying. That is a great first step in making real connections with those who we help to feed. So glad you linked up to the August Country Fair Blog Party! What great experiences you have had this month! Thanks for sharing them on the Country Fair Blog Party this month!